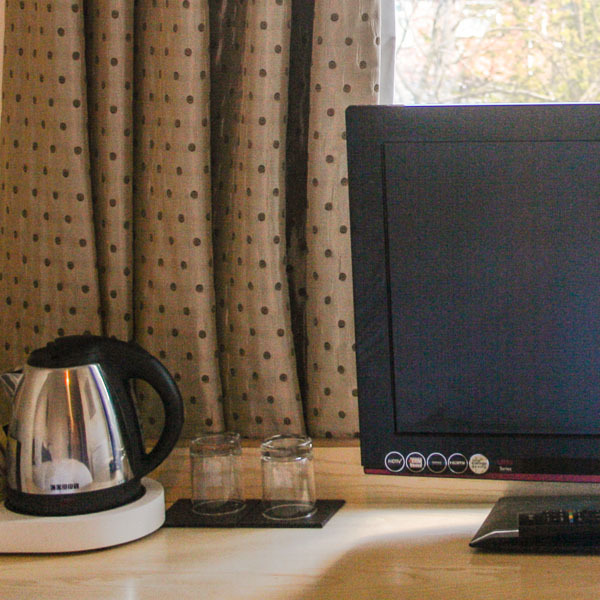 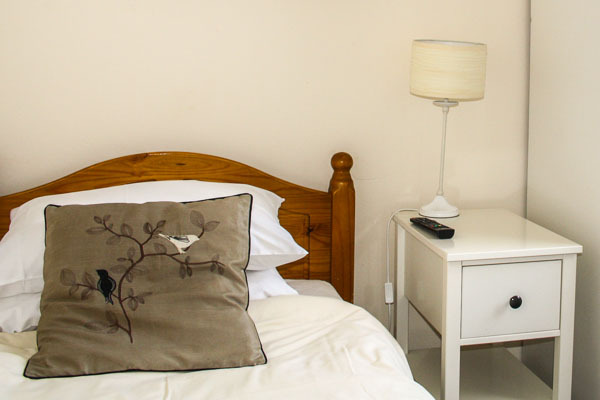 All of Elmdon Lodge's comfortable guest bedrooms are equipped with a colour television, tea and coffee facilities, good quality furniture and furnishings - including a desk or table, and have either an ensuite shower-room or adjoining shower-room (may be shared with other guests). 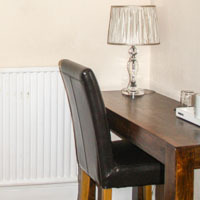 Free wireless internet is available in all of the bedrooms. 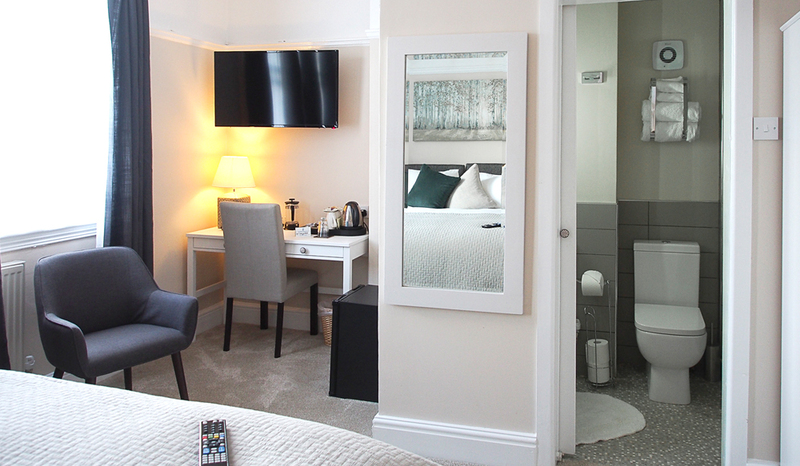 Every room has plenty of storage for your luggage in wardrobes and/or drawers and has been arranged to maximise available space. 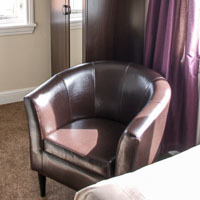 We offer several different styles of room from single to triple or family sized. 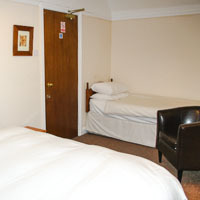 A small but comfortable room with ensuite shower facilities, suitable for a maximum of 1 traveller. 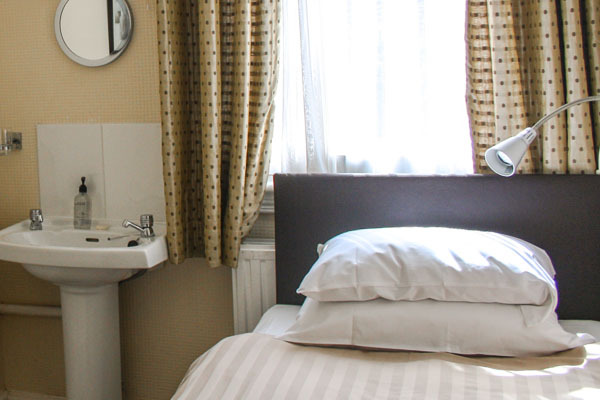 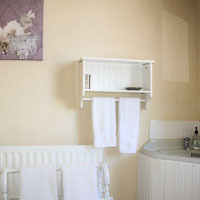 Ideal for solo travellers on a budget, these small single rooms have a wash-hand-basin in the room but no full ensuite. 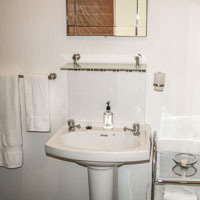 Shower facilities are shared with one other traveller. 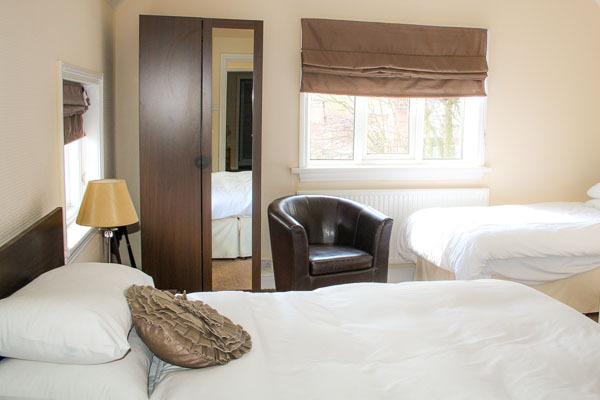 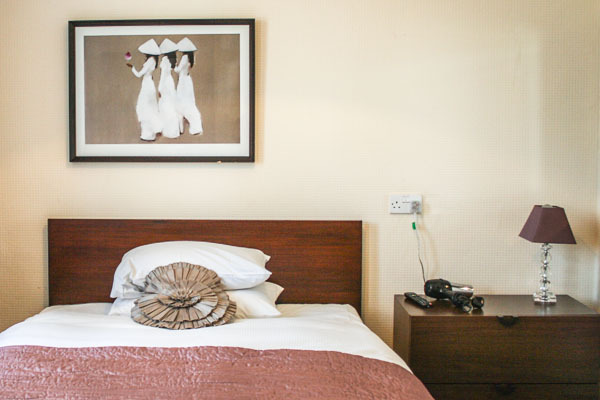 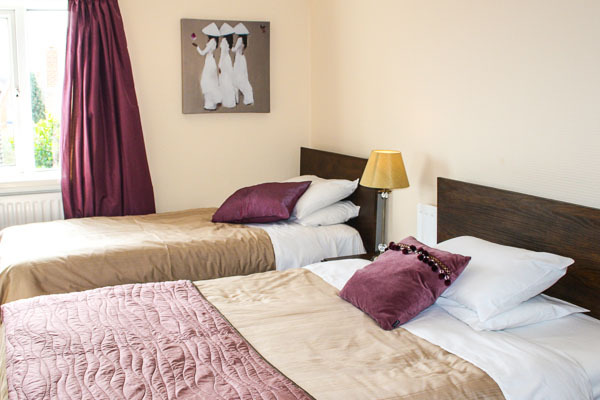 A comfortable room with a double sized bed for a maximum of 2 adults and ensuite shower room. 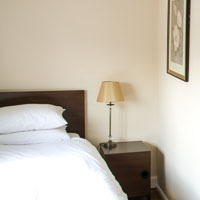 Also available as single occupancy. 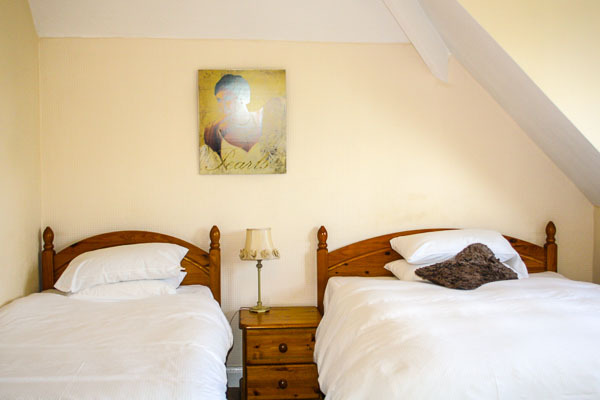 A room suitable for two friends or colleagues travelling together, with two seperate beds. 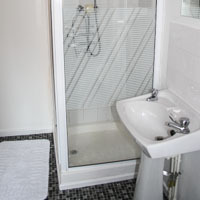 Ensuite shower facilities. 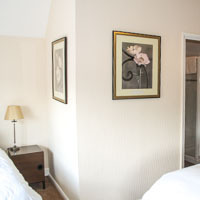 A large ensuite room boasting a double bed and two single beds. 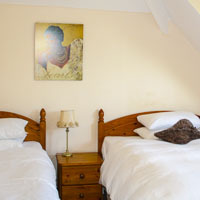 Suitable as a family room (2 adults and 2 children) or for 3 adult friends travelling together. 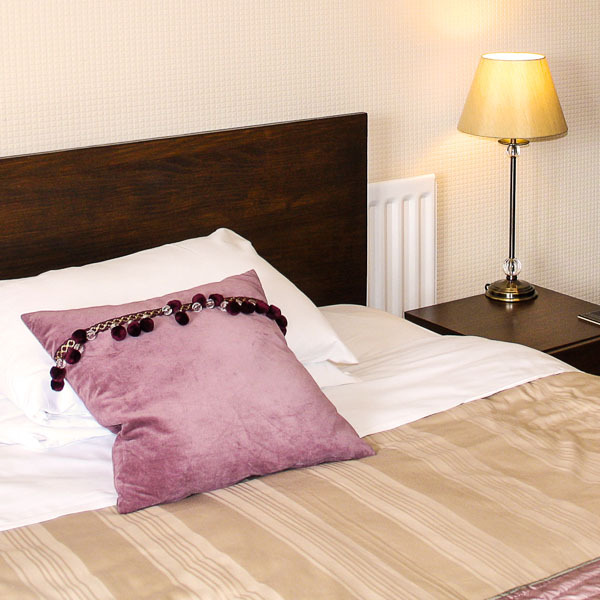 A large ensuite room boasting a double bed and a single bed - making it ideal for small families. 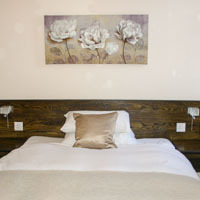 Also available as a double or twin.